Hair grafting is a partial solution limited but the amount of grafts per session, that most of the time does not look natural. This treatment however can regenerate thousands of hairs without the need of an operating room. In a single session, you can recover hair lost long ago. you can recover and strengthen areas that are losing hair without the need of surgery. Dr. Mora does this treatment in his office. Selecting a small segment of fat tissue and skin in the posterior side of the head from which the tissue will be extracted. These are then transported to the balding areas. These then stimulate the growth, regenerate and strengthen hair follicles and this way stopping the hair from falling. We can now biologically block and reverse baldness with cells from the same patient. Something which was previously inevitable. The session consists of taking 3mm diameter segments of skin in the back of the head. These skin samples are processed by our equipment which can separate the tissue by means of a centrifuge and filtration method through micrometer orifices. This separation allows us to isolate the valuable liquid component. Which will then be injected superficially in areas where hair is desired. The patient needs no recovery, he can resume his day to day tasks as pleased. 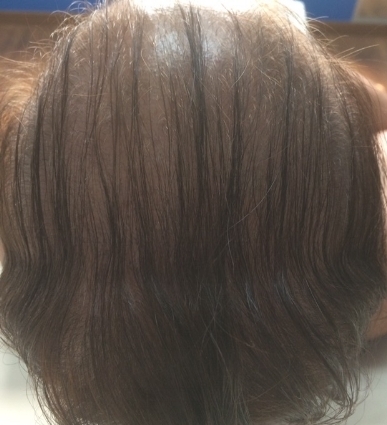 Between the second and third week there will be a rise in both hair growth and its thickness. The tratment has proven to be effective in patients with androgenic alopecia and hereditary alopecia. this treatment is not recommended in cases of Telogen Effluvium, systemic causes of alopecia, mycosis or universal alopecia.